Anyone can own and run a business. But Jesus owns the church. So he gets to say how it should be run. Churches cannot and should not be run like businesses. I’ve always felt that to be true. But, as a pastor, I only knew it in the abstract. Then, a few years ago I started my own business. You're reading one of the products of it right now. The writing and speaking I do in conferences, my book, the Pivot blog and at NewSmallChurch.com also happens to be a ministry, but it’s not a church, it’s a business. My business. I started it. I own it. I run it. And I make all the decisions for it. In these last few years, the differences between running a business and pastoring a church have become very clear to me because I’m doing both on a daily basis. I can now say with certainty that pastoring a church is very different from running a business. (For more on this topic, check out the follow-up post, 3 Big Problems With Running A Church Like A Business). I didn't start the church. I don't own it. I don't run it. And I don't make all the decisions for it. A church doesn’t belong to the pastor. Or the church members. Or the denominational officials. It belongs to Jesus. Certainly, a church has business aspects to it. Like paying bills, organizing events and managing resources well. So does a family. Yet no one thinks we should run our families like businesses. So why do we think it’s okay in the church? 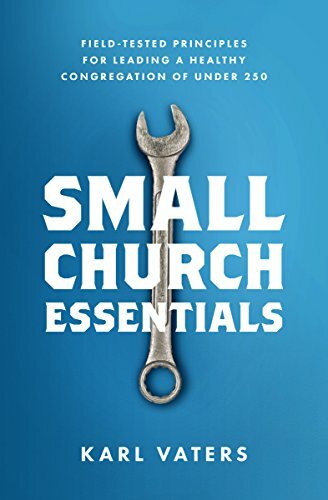 When we treat the church like a business, we start acting more like business owners, less like stewards. And when we do that, bad things happen. Our energy gets diluted, our priorities get twisted and our focus gets blurred. As pastors, we must always remember we are stewards. Even if we're church planters, we didn't start the church, we merely helped to graft a new branch onto an ancient tree. This is also why I have a hard time with our over-emphasis on a modeled-after-businesses idea that a pastor should cast their vision for a church and the members should get behind it. In a business, creating, casting and holding employees to the owner’s vision makes sense. As I run my business, I can do what I want, when I want, according to any ideas I come up with, and there’s no one to tell me I can’t. That has both good and bad consequences to it, but as the owner I get to do that – and live with the results.